The new version in the making is said to be more powerful, less cumbersome and would work better than earlier prototypes. 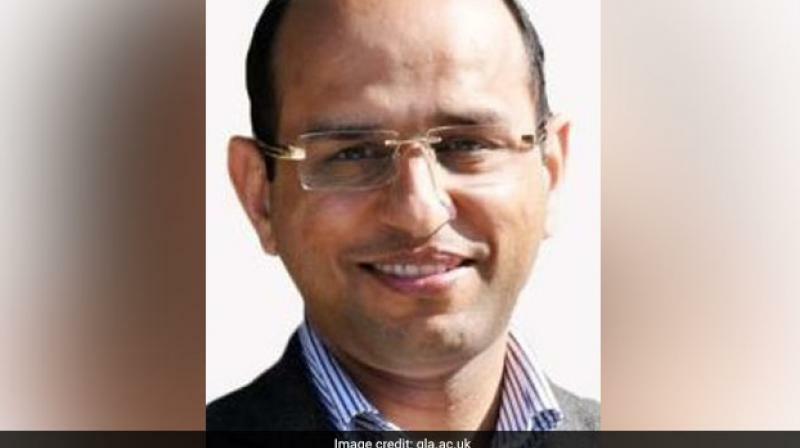 London: An Indian-origin scientist working on creating a robotic hand covered in so-called brainy skin that mimics the human sense of touch has won 1.5 million pounds in funding for the project. Professor Ravinder Dahiya, Professor of Electronics and Nanoen-gineering at the University of Glasgow’s School of Engineering, said the futuristic thinking skin concept is inspired by the elements of real skin. The super-flexible, hypersensitive skin may one day be used to make more responsive prosthetics for amputees, or build robots with a sense of touch. Brainy Skin is critical for the autonomy of robots and for a safe human-robot interaction to meet emerging societal needs such as helping the elderly, said Dahiya. Along with his Bendable Electronics and Sensing Technologies (BEST) te-am, the scientist has plans to develop ultra-flexible, synthetic “Brai-ny Skin” that thinks for itself. This electronic thinking skin is made from silicon-based printed neural transistors and graphene an ultra-thin form of carbon that is only an atom thick, but stronger than steel.